AUSTRALIANS are running out of reasons to not genuinely consider a zero emissions car. Electric cars? Too expensive. Won't travel far enough. We don't have the charging infrastructure. They look daft. With the launch of Hyundai's purely electric Ioniq, such arguments are wearing thin. The Ioniq Electric costs from just $44,990, has a battery range of 230km in real world driving, can charge to 80 per cent in 23 minutes at ever-increasing fast-charge points and looks, well, almost like a normal car. As a chest-thumping disciple of the internal combustion engine, I need more convincing than most about an electric car revolution. I've taken the automotive version of the cola challenge and discovered an Ioniq Electric can make decent sense - not for everyone but for more Australians than ever before. The Ioniq’s brief was to look “normal”. Importantly, the Ioniq Electric never lied to me during our test. 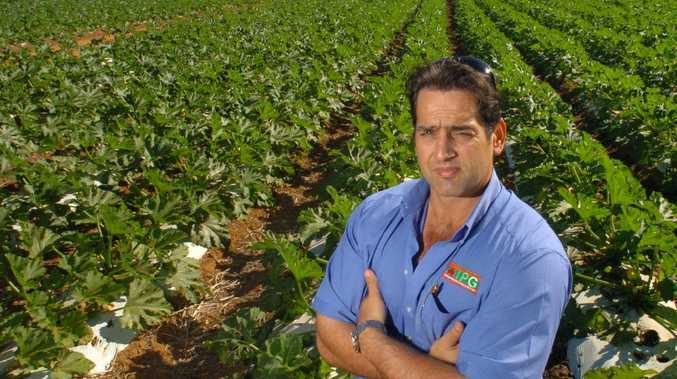 When we started in Brisbane with a full battery, it said we could travel 232km. I put the airconditioning on and this dropped to 202km. After a 107km mix of city, highway and twisty mountain road driving - aircon staying on and me never driving conservatively - we had 96km range remaining. Spot on. They were enjoyable kilometres too. The Ioniq Electric's 88kW/295Nm motor means it isn't fast but has decent poke off the line and Hyundai Australia has tuned the suspension for our conditions so there's a happy blend of ride comfort and handling nous. I didn't feel like a futurist freak either, at times forgetting I was driving an electric car. No fossil fuel engine or gears changing means it's impressively smooth and ghostly quiet, even if tyre and wind noise are more obvious. Radio on and with a passenger to chat to, it all feels very normal. You could shift to electric driving as seamlessly as you did from writing letters to sending emails. 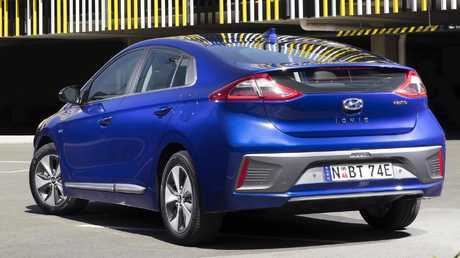 The Ioniq Electric comes to market as Australia's cheapest purely electric car. The $44,990 (before on-roads) sticker is still hefty for a five-door liftback similar in size to Hyundai's Elantra and i30. No changing gears make for a very smooth ride. However, it's practical enough to be a family car and the potential for zero emissions motoring justifies - to tech lovers and tree huggers at least - the price premium. Hyundai's regular five-year warranty and annual service bills of only $160 add to the appeal. Our next cheapest EV is the tiny oddball Renault Zoe at $47,490, and the Ioniq Electric looks a give-away when considered alongside the EV poster boy Tesla Model S, starting from $146,512 drive-away. Those not ready to dive into the electric deep end can opt for other Ioniqs with petrol engine safety nets. Hybrid and Plug-in versions each use 1.6-litre four-cylinders backed by electric motors, for combined outputs of 104kW/265Nm. The Hybrid's small battery, charged only through regenerative braking, helps the car return an impressive 3.4L/100km. The Plug-in has larger battery capacity, enabling some 63km of pure electric driving - enough to cover most Australian commutes. Forgot to plug it in? The petrol motor's got your back. Hyundai Ioniq product planner Scott Yoon says the model's brief was to have "attractive styling, be a normal looking car, have competitive fuel efficiency, engaging driving and advanced, smart technology". In other words, an antidote to the challenging design of its Toyota Prius rival. The Ioniq has a simple cabin. 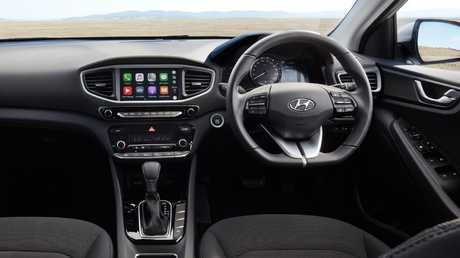 All Ioniqs are well equipped with comprehensive active safety, radar cruise control, rear camera, eight-inch touchscreen, satnav, Apple CarPlay/Android Auto, smart entry and start, climate control and alloy wheels. Drop another $4000-$5000 and Premium versions of each bring larger alloys, leather heated and ventilated power seats, power sunroof, paddle-shifters, bi-xenon headlights and wireless phone charging. 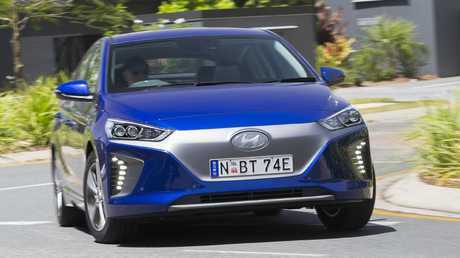 The Ioniq Hybrid and Plug-in are the safe bets with their conventional radiator grilles and six-speed double-clutch autos. 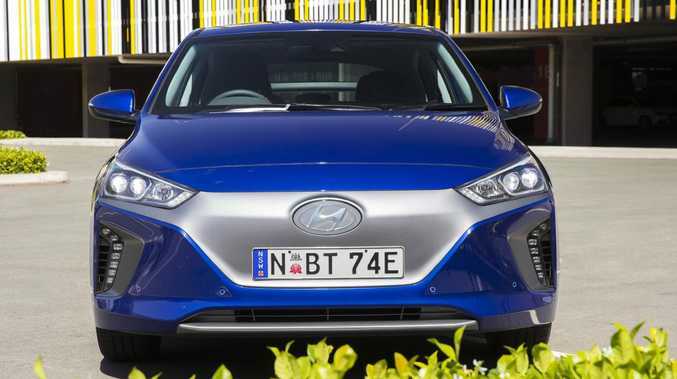 Hyundai says early interest is weighted firmly towards the full electric camp - and the Ioniq Electric, with its grille-free nose treatment in matt grey or gloss black, would be a smart choice. 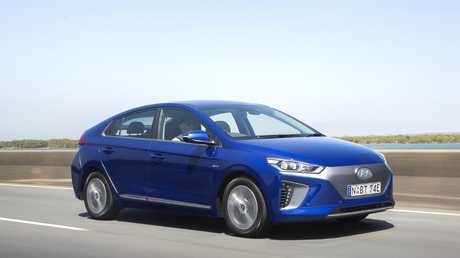 The Ioniq Plug-in costs $40,990 in Elite trim or $45,490 in Premium grade, mirroring the price of Mitsubishi's Outlander PHEV, the in-vogue size plug-in SUV. A commercial 100kW DC fast-charging station tops up the Electric's 28kWh Lithium-ion polymer battery to 80 per cent capacity in 23 minutes. Fit a 7kW AC personal charging station in your garage ($1995 installed) and do the job in four hours 25 minutes. A domestic 240V AC socket does it in 12 hours. Paddles behind the steering wheel adjust how much regenerative braking you want. It's a clever set-up and simply lifting off the accelerator nearly brings you to a stop in city traffic and arrests speed sweetly down hills while adding juice to the batteries. You need to change your driving style but it becomes second nature after a few journeys. Let's not pretend the Ioniq Electric is a cheap small car. It isn't. But it's compelling - spacious, comfortable, fun to drive and in the realms of affordability. Its greatest talent is making zero emissions EV driving feel perfectly normal. Less moving parts means much cheaper servicing.